Here is some clarification about some of the most common myths about our friend, the Chihuahua. Chihuahuas are high-string and yippy. This isn’t true! Chihuahuas can be very quiet and very well behaved. It just needs the proper amount of training and socialization. This is the same as any other dog. When left alone for long periods of time they will get bored and they will begin to exhibit bad behaviors. Chihuahuas are outdoor dogs. This is also false. They are fairly sensitive to the cold. Not only this, but they adore the attention of others. They need to be kept inside. Chihuahuas are sensitive to the cold. This one is true. Short and longhaired Chihuahuas alike might need to wear an extra sweater in the chilly weather. Chihuahuas do not need to be socialized. Absolutely false! It is going to benefit everyone involved if your Chihuahua is going to behave well. The personality of your pup is going to be strongly influenced one way or the other based on how much or how little interactions with others that they will have. From the time they are first born to the time that they are 12 weeks old it is the most crucial to have socialization be a part of their day-to-day lives. Chihuahuas are not good with children. False! Part of the reason that your puppy should be socialized is so that they can interact with children in a positive way. 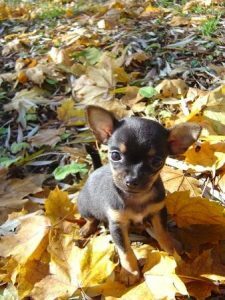 Small children should always be supervised around animals of any sort, but there is nothing to say that Chihuahuas are any worse around children than other breeds.